3. URL of spoof website disguised as " Log In to Online Account Page ". 4. Real URL looks nothing like Regions! 6. 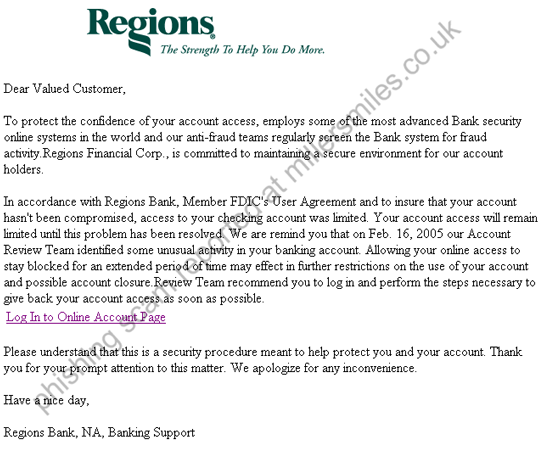 Email badly spelt - sure sign of a scam. "To protect the confidence of your account access, employs some of the most advanced Bank security online systems in the world and our anti-fraud teams regularly screen the Bank system for fraud activity "